Here in Sonoma and Marin Counties, CA, we get about 38 inches of rain a year, so gutters are an absolute necessity to help keep water away from your home, but keeping them as free of debris as possible so they don’t clog can be a real chore. Plus it’s not exactly safe for you to constantly have to go up a ladder to clean your gutters after every storm. That’s why if your home has gutters, it’s a good idea to have the professionals here at Nor-Cal Maintenance install gutter covers or gutter guards as part of an effective gutter maintenance system for your home. No matter what type of home or gutter system you have, our trained technicians can help you choose the correct type of gutter cover to fit your home and budget. We have over 30 years of experience installing and maintaining gutter guards throughout Sonoma and Marin Counties, CA, so you can feel secure in the knowledge that your home is protected from water damage. Protect your gutters: Gutter guards help protect your gutters from moisture, debris, and premature rust. Increase the effectiveness of gutters: When installed correctly, gutter guards improve the flow of water away from your home. Keep critters away: Gutter guards help keep birds, mice, and other animals from building their nests in your gutters. Easier to maintain: Gutter guards require less maintenance and cleaning than unprotected gutters. No more gutter clogs: Gutter guards keep all but the smallest bits of leaves, dirt, and debris out of your gutters so they don’t clog or overflow into your home or cause damage to your foundation. 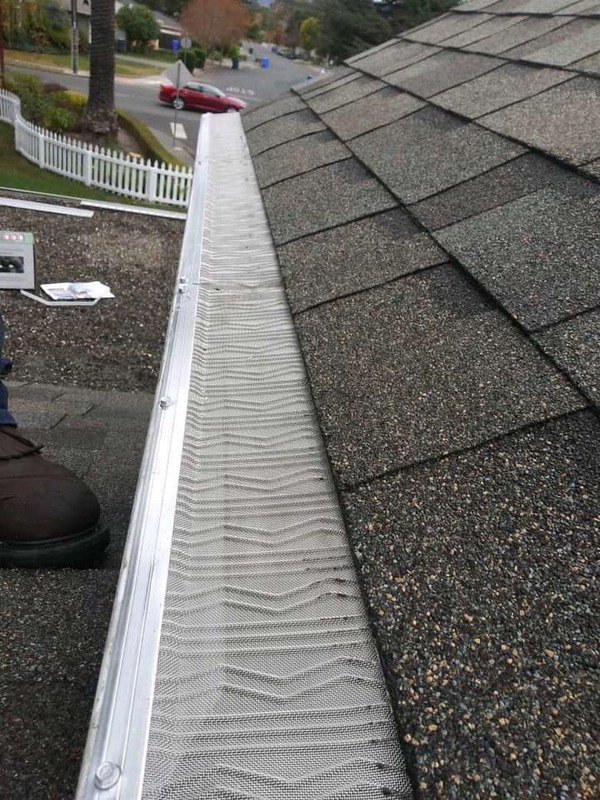 Gutter covers are not all alike, and some require more cleaning than others, but even the most economical gutter guards are easier to maintain and help prevent damage to your home from problems related to clogged and dirty gutters. At Nor-Cal Maintenance, we can help you decide which type of gutter cover is right for you and we will install it for you. Plus because we also provide gutter cleaning services, you can choose to have us regularly inspect and clean your gutters and gutter guards every year to ensure they last for years to come. If you’re looking for a solution to clogged gutters that will keep you off the ladder, call Nor-Cal Maintenance to set up a free gutter guard consultation today.